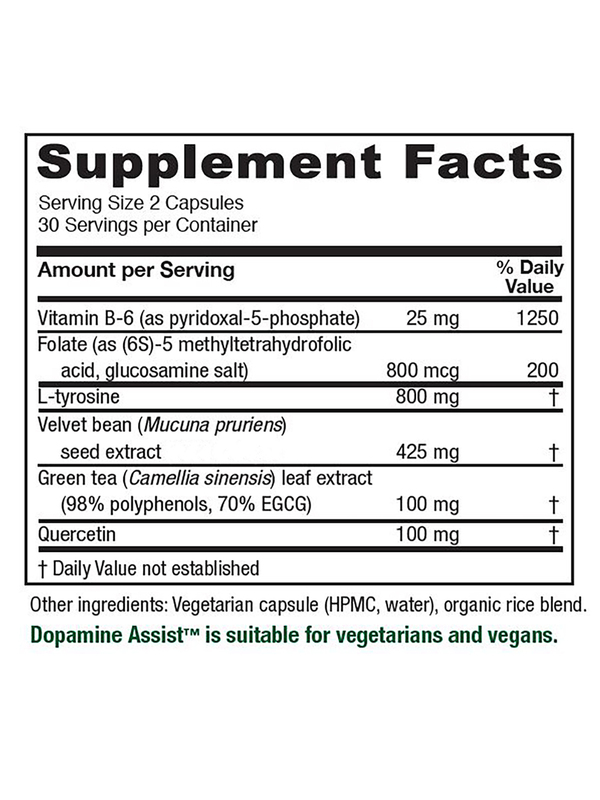 Dopamine Assist supports the body’s natural production of dopamine‚ one of the body’s primary catecholamines‚ and essential for balanced central nervous system function in the areas of motivation‚ attention‚ learning‚ mood and sleep. 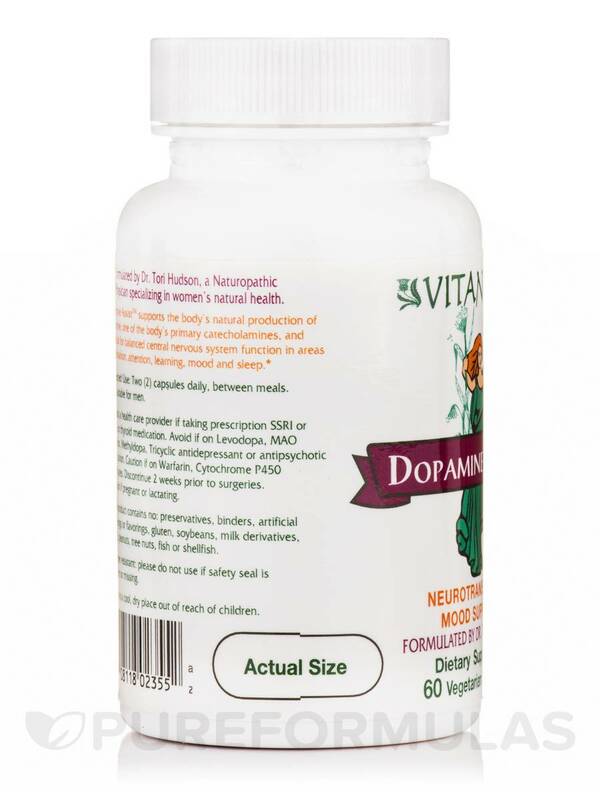 The ingredients in this formula are selected due to their known effects of promoting the mechanisms that bring about the desired positive support on the delicate balance of brain neurotransmitter chemistry. 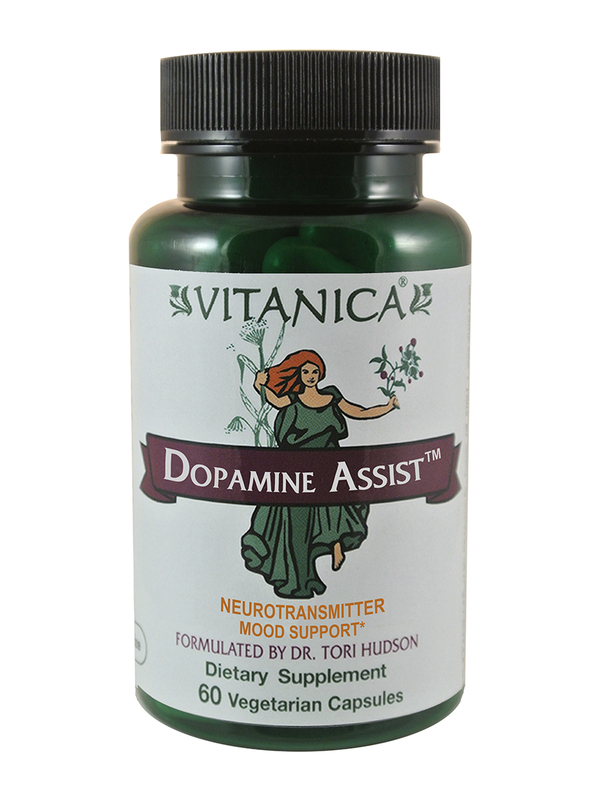 It is important that all neurotransmitters be balanced to support mental‚ emotional and physical health‚ day to day and for future wellness. 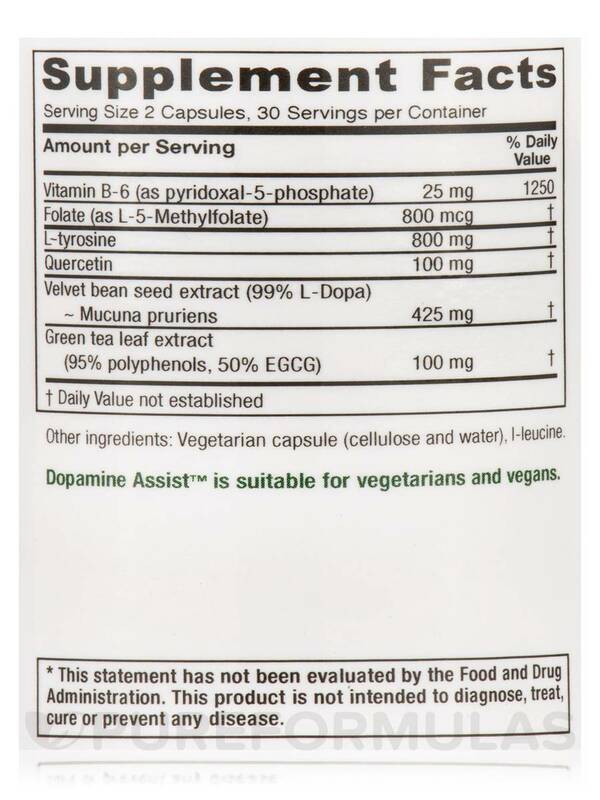 Other Ingredients: Vegetarian capsule (cellulose and water)‚ l-leucine. 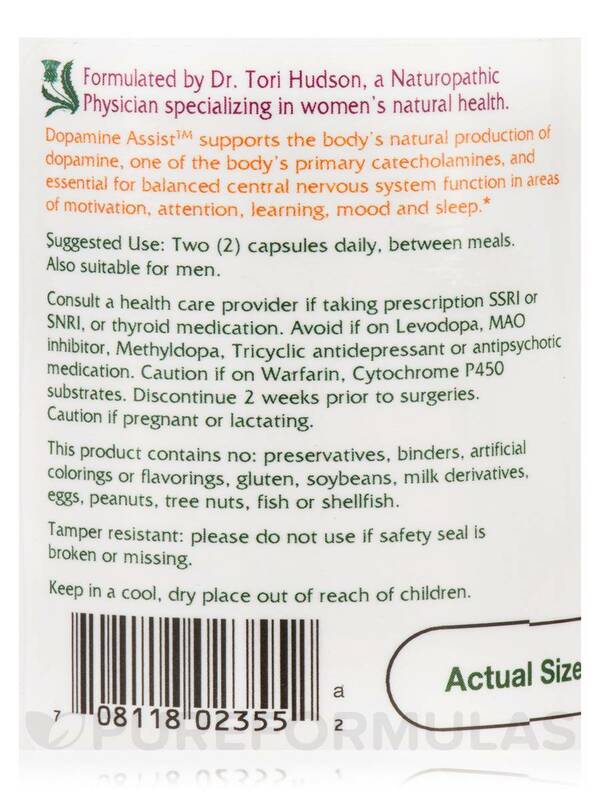 This product contains no: Preservative‚ binders‚ artificial colorings or flavorings‚ gluten‚ soybeans‚ milk derivatives‚ eggs‚ peanuts‚ tree nuts‚ fish or shellfish. 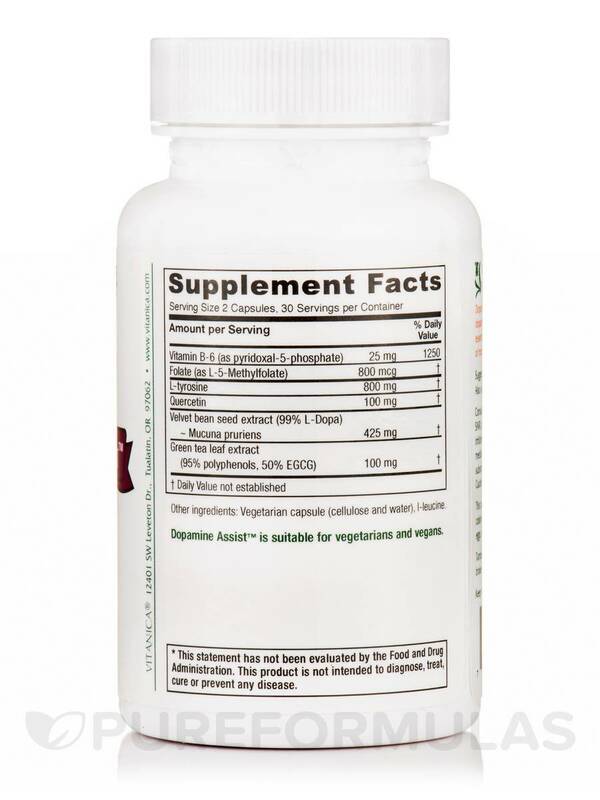 Two (2) capsules daily‚ between meals. 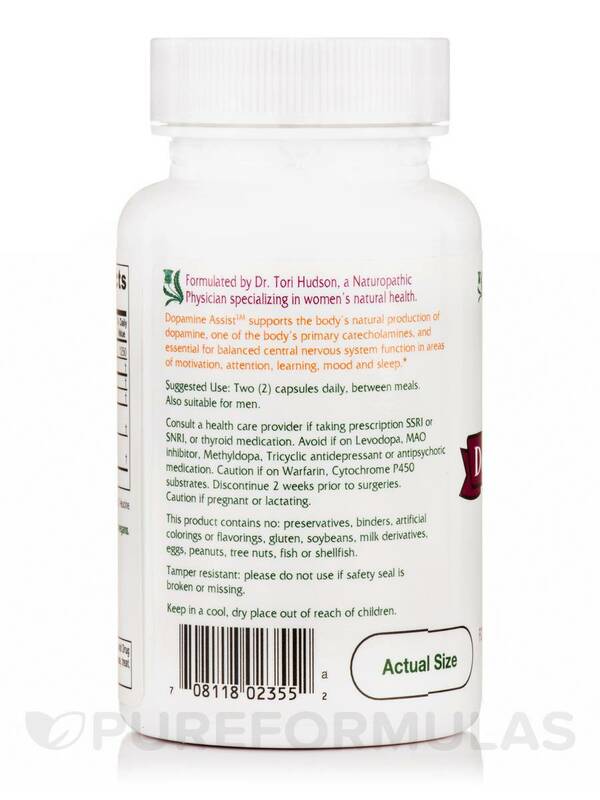 Consult a healthcare provider if taking prescription SSRI or SNRI‚ or thyroid medication. Avoid if on Levodopa‚ MAO inhibitor‚ Methyldopa‚ Tricyclic antidepressant or antipsychotic medication. Caution if on Warfarin‚ Cytochrome P450 substrates. Discontinue 2 weeks prior to surgeries. Caution if pregnant or lactating.